LANSING – Michigan retailers are on a roll, with June marking the fourth straight month of positive year-over-year sales, according to the Michigan Retail Index, a joint project of Michigan Retailers Association (MRA) and the Federal Reserve Bank of Chicago. More than half of retailers posted year-over-year sales increases in June and 60 percent expect the sales activity to continue increasing for the next three months. That may be partly due to an expected back-to-school boon. Total spending for school and college combined is projected to reach $83.6 billion, more than a 10 percent increase from last year’s $75.8 billion, says the National Retail Federation. June unemployment fell to 3.8 percent in Michigan – below the national rate of 4.4 percent. The Michigan Retail Index survey for June found 58 percent of the state’s retailers increased sales over the same month last year, while 24 percent recorded declines and 18 percent reported no change. 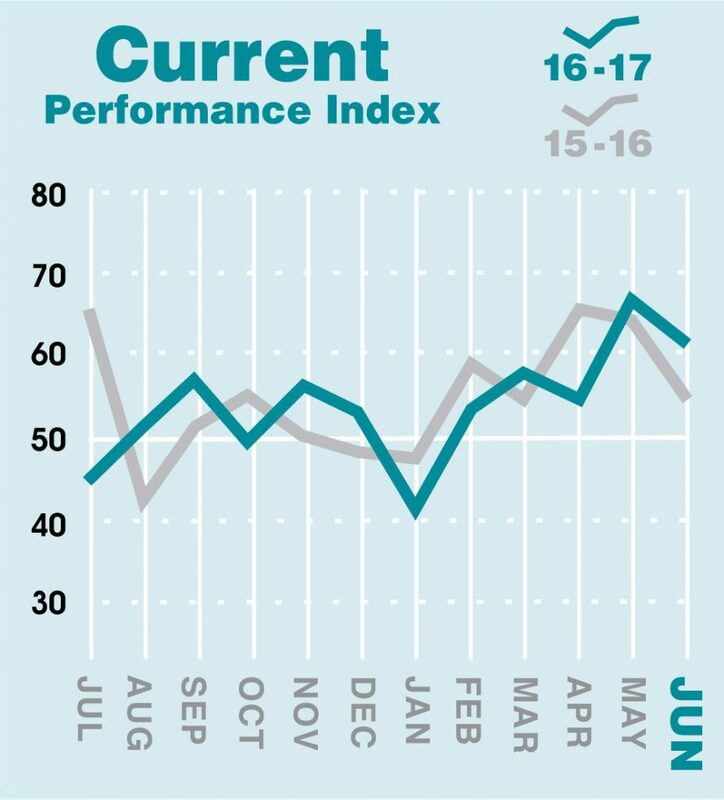 The results create a seasonally adjusted performance index of 60.1, down from 66.5 in May. Looking forward, 60 percent of Michigan retailers expect sales during July-September to increase over the same period last year, while 18 percent project a decrease and 22 percent no change. 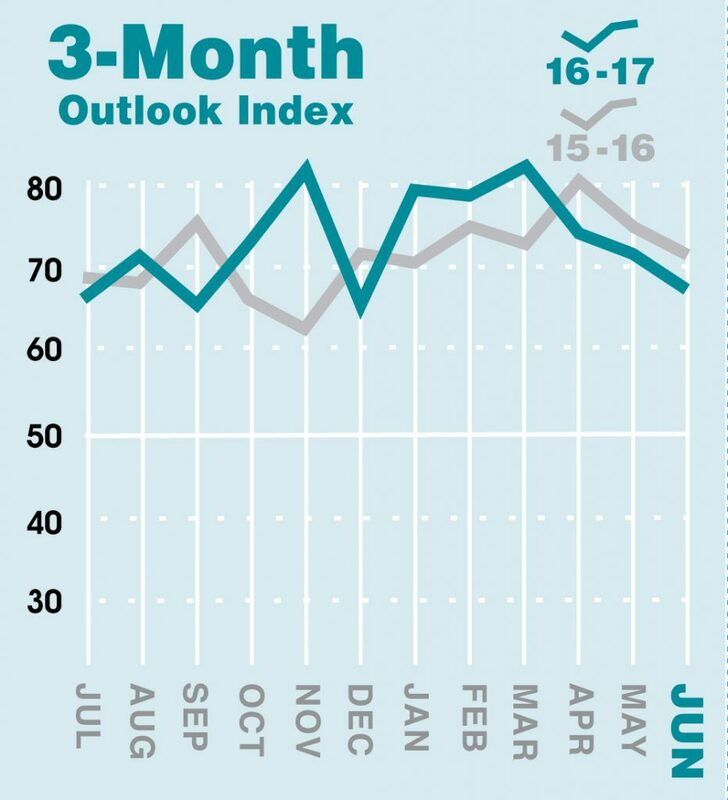 That puts the seasonally adjusted outlook index at 67.0, down from 71.8 in May but well above the 50 level. Michigan is bucking the national trend. U.S. retail sales unexpectedly decreased for the second consecutive month in June, according to a report released by the Commerce Department on July 14. The Michigan Senate Fiscal Agency reported sales tax receipts of $685.5 million in June 2017, a 6.3% increase from June 2016. Year-to-date sales tax collections are 6.8% above the 2016 level, and $7.5 million above the predicted level.